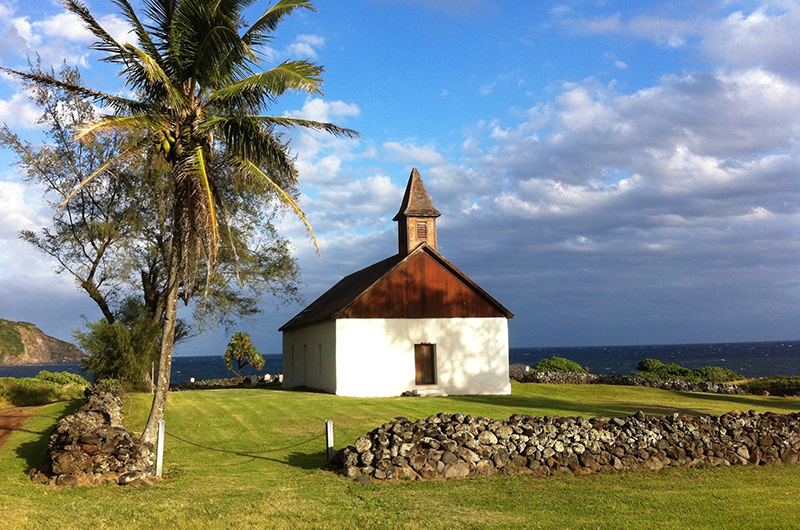 This plantation village on the northern coast of Maui was established in 1896. When the town was established it consisted of sugar mills and a company store for plantation workers. Paia is a cool, laid-back town where locals and windsurfers from around the world can hang out and enjoy the sights at the beginning of the Road to Hana. 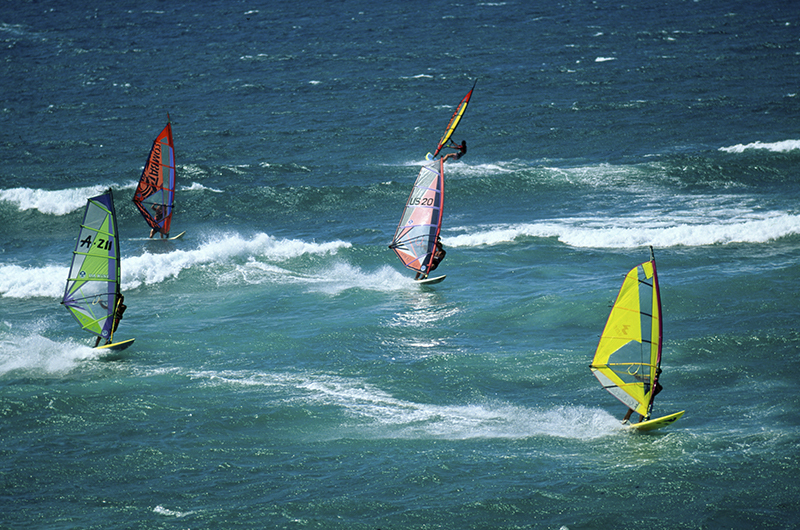 Love to windsurf or maybe just love to watch windsurfing? 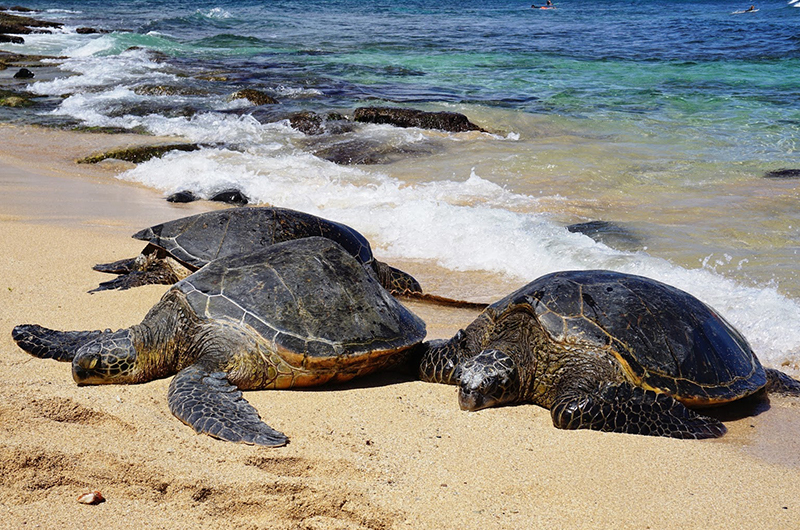 Ho’okipa Beach Park is a must-see destination on the Road to Hana. The beach has an easy pull-up lookout where you can watch some impressive surfing skills in action. If you are lucky, you might see a Hawaiian Green Sea Turtle near the reef. The most common time to see the sea turtles in this area is right before sunset. While Paia and Ho’okipa are located on Maui’s North Shore, we felt that the North Shore is notable enough that it needed to be called out on its own. This area of the island is so different than many other areas of Maui. When you go anywhere on the North Shore you will get an authentic taste of island life on Maui. There are fewer people in this area than in the resort communities and you will find lots of delicious local food everywhere you turn. This is also known as a State Wayside Park along the Road to Hana on Maui. The park is made up of almost 8 acres of exotic plants and forest. 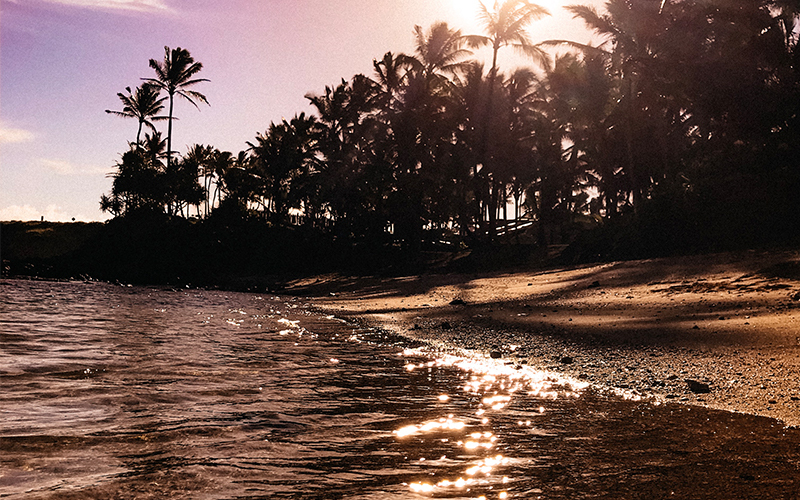 This Hawaiian State Park is perfect for sightseeing and having a picnic while taking in all of the picturesque coastline views that Maui has to offer. 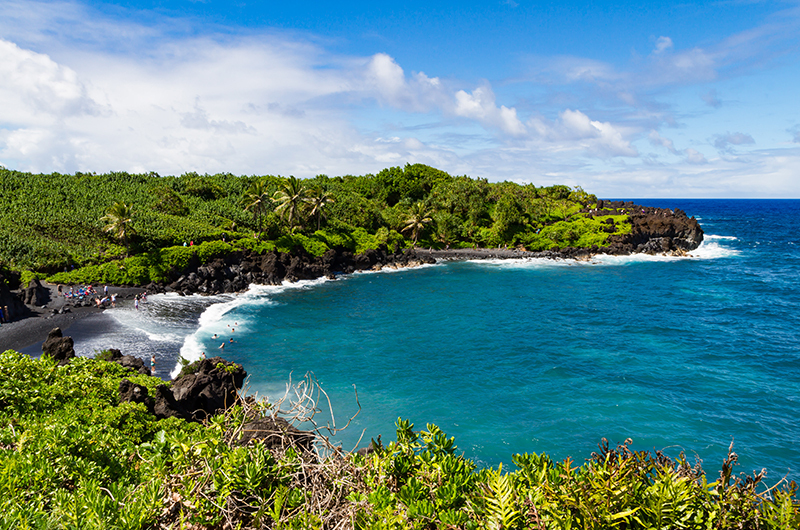 Maui has 8 state parks and half of them are located on the Road to Hana! 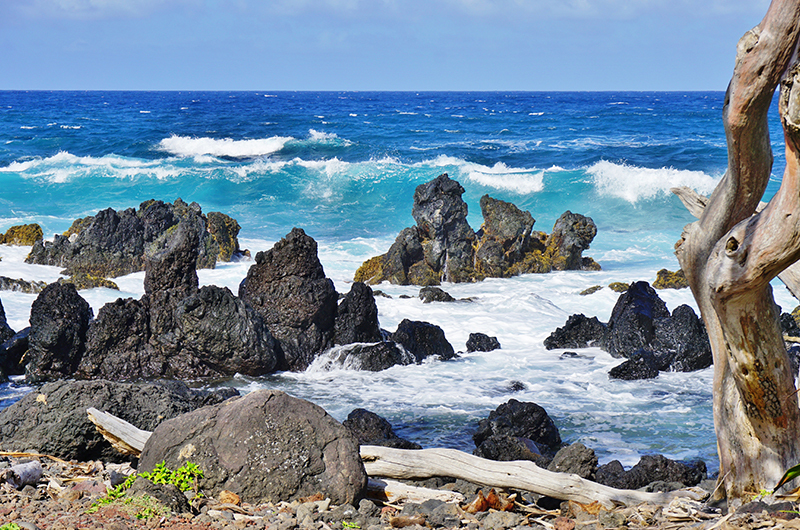 Even though you can’t swim in the ocean here because of the dangerously sharp rocks, Ke’anae is a must-see town on Maui because of the amazing black lava rocks that shoot out of the shoreline. The combination of bright blue waves crashing against the sharp, jagged lava rocks creates a picture-perfect sight that you will not want to miss out on. The town is home to one of Hawaii’s main taro farming regions, which adds an additional only-found-in-Hawaii vibe to the area. This state park is a rainforest with several small waterfalls and pools. If you are feeling ambitious, there is a larger waterfall that is located upstream in the park along a muddy trail. This can be a fun adventure if you are up for the challenge! The only thing to look out for on this trail are the groups of mongooses that hang out around this area because it is a popular picnic spot and they like to stick around to pick up any scraps left behind. This unique park has a beautiful volcanic sand beach, lava tubes, and blow-holes that shoot water into the air. The black sand poses a stark contrast to the bright blue ocean waves. 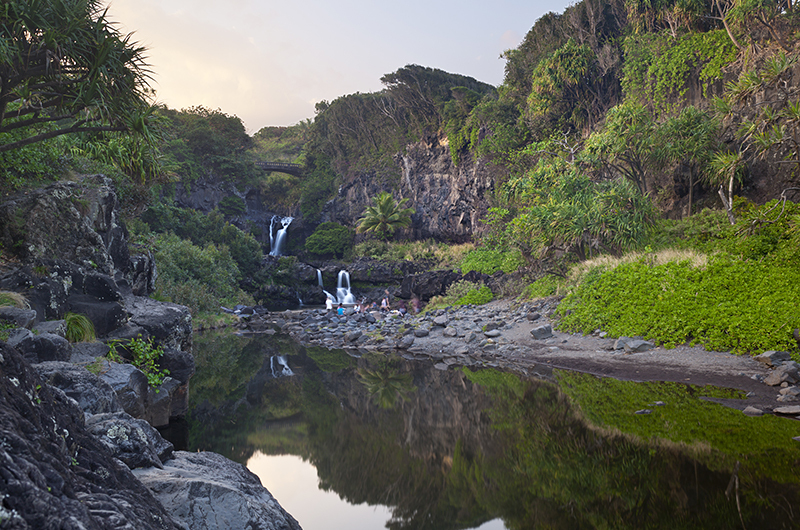 This park is also very unique because the tide pools in the park turn bright red several times every year– legend says that the water turns red for the blood of Princess Popoaleae, who was murdered by her husband in a nearby cave. 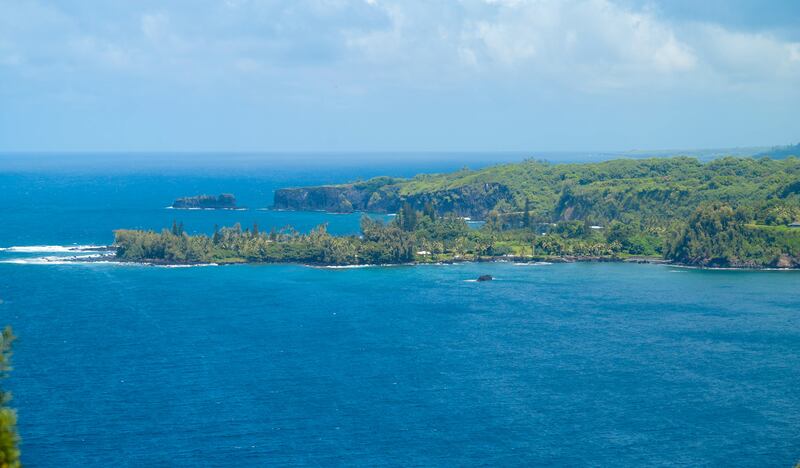 To some, Hana Bay is considered the end of the Road to Hana, but to us, it is only half way! There is a lot to see in Hana Bay but there is also a lot to see beyond the bay so we strongly recommend continuing on towards the backside of Haleakala if you have time to do so. 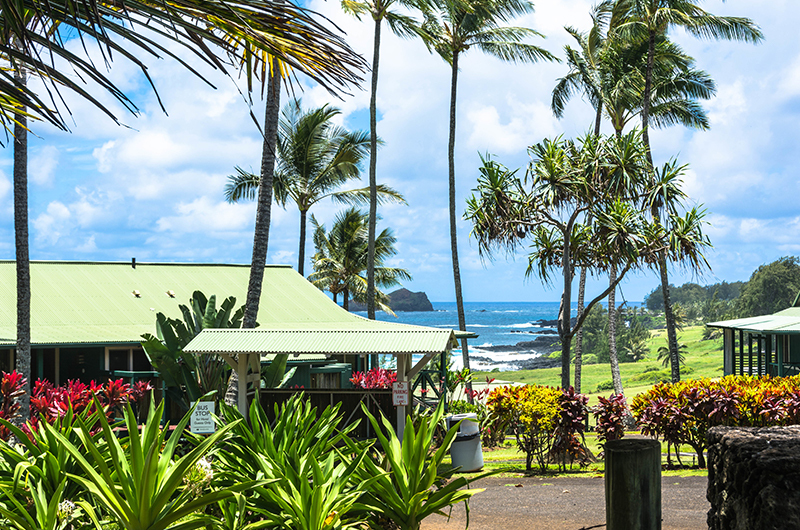 Hana Bay itself features a black sand beach, a beautiful pier and lots of hiking trails to explore. Swimming, kayaking, and snorkeling are very popular activities to do here. 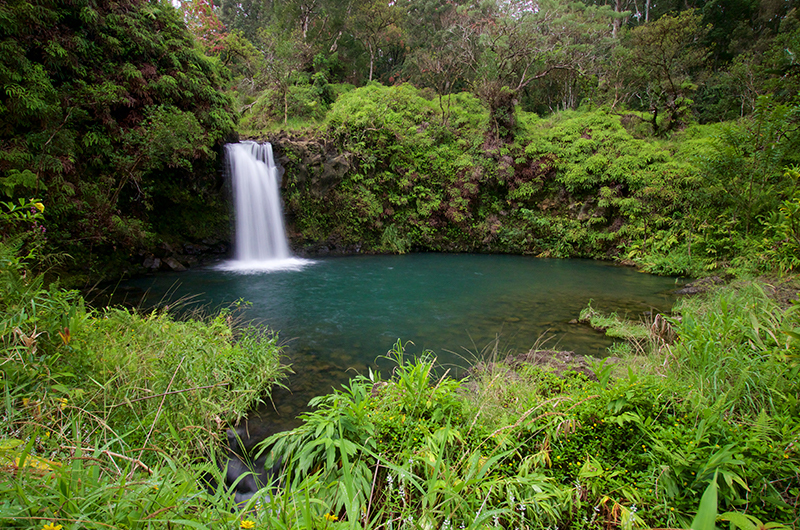 Kipahulu is home to ‘O’he’o Gulch which is also known as the Seven Sacred Pools. This area is also home to Pipiwai Trail and Waimoku Falls which boast beautiful ocean views, numerous waterfalls, and many freshwater pools. Kipahulu was home to ancient Hawaiians. Today, it has over 700 sites and ruins along with the 3rd largest temple in Hawaii. There are so many amazing reasons to stop and explore this area! You’ll feel as if you traveled back in time when you visit this very remote and sparsely populated ranching area of Maui. Kaupo is part of the back side of Haleakala. This area’s landscape is much different than the rest of the Road to Hana, which is why you have to explore here! It feels almost as if you have left the tropical island of Maui and entered some sort of desert. Make sure you stop at the Kaupo Store for a one-of-a-kind island experience.